Spring is springing. 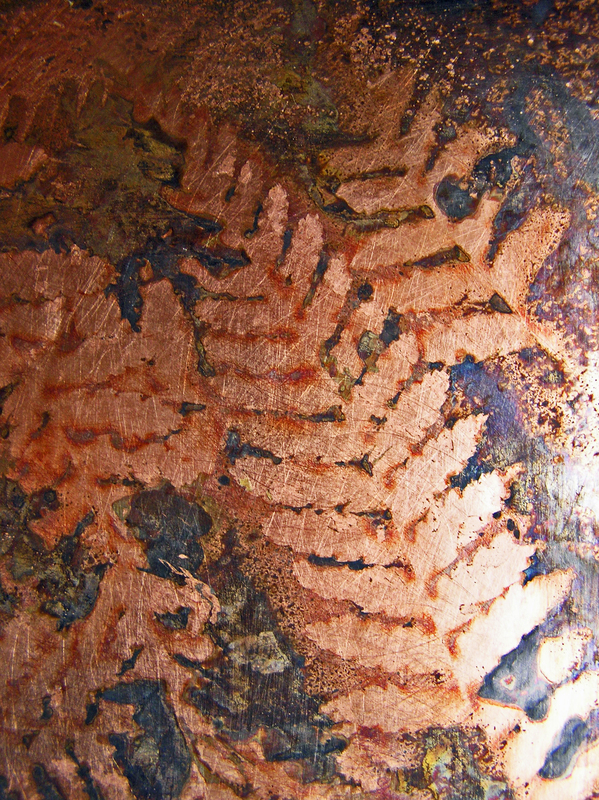 I spring-cleaned my garden workshop/studio on Sunday and yesterday produced a print of ferns on copper. The image to the left is a close-up of one section of the sheet. This is my first attempt at printmaking on copper. I’ve used the liver of sulphur I acquired a few weeks ago. I adapted a recipe for printing on copper mesh which I found in Mixed-Media Nature Journals, subtitled New Techniques for Exploring Nature, Life, and Memories, by L K Ludwig. It’s a sumptuously illustrated book and full of unusual techniques for image-making. If you decide to have a go at this technique, do it outdoors, as I did. 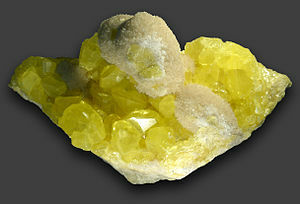 The rotten egg smell of sulphur is not something you want drifting through your home! This entry was posted in Art, Art Journal, Nature Journal, Printmaking and tagged Copper, copper mesh, fern print, Flora, liver sulphur, mixed media nature journal, Monoprints, nature art, nature journal, nature journals, printing on copper, Sulfur. Bookmark the permalink. REALLY WONDERFUL! That was a truly interesting read. Will enjoy reading more about that in due course, very much. Looks beautiful by the way. Thanks Pirate! It was great fun to do.